The concept of equity is having a moment in the ultimate community. 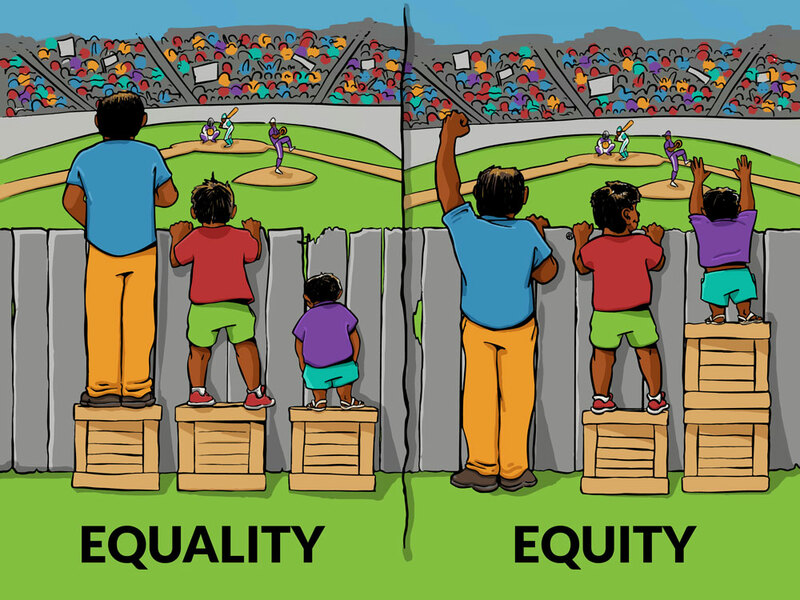 Maybe you’ve seen that equality vs. equity image of three people trying to watch a baseball game from behind a fence. Maybe you’ve had a conversation about saying person instead of man defense; or seen a shift in ultimate game coverage and broadcast trends; or watched Hana Kawai’s speech challenging USAU and its constituents to prioritize anti-racist, anti-classist action in intersection with gender equity projects. It’s tough to think about the push for gender, race, and class equity as having “a moment.” Systemic oppression has existed, inside and outside of ultimate, enduringly. Movement towards equity has been most indispensable outside the world of ultimate because out there, it impacts people more urgently. It’s all-encompassing. It’s life and death. Movement towards equity in ultimate is vital too. But if you’re wondering why the movement has felt a bit like a trend – like it’s not so all-encompassing – it’s because things come to a head in a very different way in ultimate. Folks dealing with issues of access or inclusivity often aren’t in the conversation, because many aren’t even in the community. Since we dropped this trailer, people have been writing to share moments in which they had a realization about systems of power in their lives. Some were about facing oppression; others were about understanding their own privilege. We started calling these Sky Is Red moments. We started, to ourselves, redefining moment as a positive. With moments come awareness, understanding, and momentum. We decided to share some of our own Sky Is Red moments and a bit about why we’re making this film. While it isn’t anyone’s responsibility to share anything of their personal experiences, we hope those who want to will continue to do so. It’s important to us because the more distinct voices we listen to, the more we understand what’s at stake, and why combating inequities in our community is so vital. After all, you can’t fight what you can’t see. We have two weeks to go to meet our crowdfunding goal. If any of this speaks to you, please help us make this film happen by sharing and supporting our Kickstarter if you can. Thank you! Living in New York City, I experience Sky Is Red moments every day. It’s a fast-paced city with every possible demographic interacting constantly in the tiniest spaces. Some feel routine, like the catcalls when I bike to work. Or the homeless person on my block sitting in the same spot daily asking for money – class inequity is visibly apparent in the streets of New York, and it is easy to become desensitized to it. I am a white, female, middle class, college-educated frisbee athlete and documentary filmmaker, living in a gentrifying neighborhood in one of the most ethnically diverse cities in the world, the same city that has a police force larger than some countries’ militaries. Living in this city gives me daily doses of perspective. Every day I move from comfortable space to comfortable space, passing by people confronting barriers I have never experienced. Sometimes the moments force me to pause and reflect on my understanding of the world, my sky compared to others. Just last week in the subway, I passed a blind man yelling out, “Somebody help me,” but no one was stopping. I asked him where he was going and gave him verbal directions. It was only after he told me he’d never find it that way that I took him by the arm and walked him to his destination. This man’s daily routine is being vulnerable in front of strangers, which takes an immense amount of strength. His sky is red. Another time I called 911 and said I had been robbed by a teenager and was asked, “Was he black or Latino?” I felt safe and guilty, hiding behind my whiteness, protected by law enforcement. I knew this was a Sky Is Red moment, but didn’t yet have the tools to process it. There are also the moments that make me burn inside, the loss of control I feel when someone makes assumptions about me because of my gender. Like the time I edited a commercial in an office full of men, and the client called my work “B-Level.” But when he saw the new version I had edited but was told a man had made the changes, he called it “amazing.” My identity was hidden to please a client. Or the time the executive producer asked if I wanted to babysit his kids for extra money. This was a man who, I found out later, was paying me half as much as the male editors to edit his show. Or the time I was getting field space for my women’s ultimate team and the man in charge laughed and asked, “Girls throw frisbees too?” Sometimes I’m able to take control to change the narrative. Like the night I stayed extra hours working on a Red Bull pilot, to find images of women in extreme sports, a needle in a haystack so that the audience would understand that women can do backflips on snowboards too. I’ve experienced Sky Is Red moments from many angles, but what next? I have begun to use the lenses of privilege, whiteness, heteronormativity, gender bias, anti-racism, ableism, and intersectionality to better process each moment, thanks to countless individuals working hard to build frameworks of understanding, to push for social change and equity. I am making this film to push you to use these tools to see the sky in a new way. I am making this film for my mom, who dreamed of being a film director and secretly got into film school in the ‘60s, but did not attend because there were no female directors at the time. I am making this film for anyone who has not seen themselves represented in sports media. I am making this film for Tiina, Rhonda, Glo, Suzanne, Kathy, and all the women who were there from the beginning of ultimate. I am making this film for Zara, Chip, Bella Donna, the BU Women’s Team, the YULA girls, Pop, Jenna, Lucy, Lily, and anyone who has chosen to speak up. 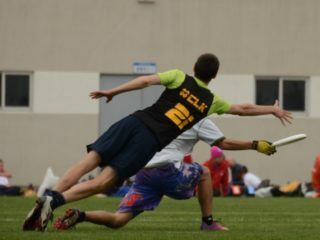 I am making this film for those who have not yet had the opportunity to access the sport of ultimate. I want this film to make you uncomfortable because those are the moments where the colors in the sky shift. This film is a question, not an answer. What color is your sky? Knowing the sky is not blue, and integrating that perspective and empathy into my life, has been really hard. I do not think it is red for me as it is for others – I am sitting at a burnt orange right now. When I was less than a year old, my parents traveled to China to bring me back to the States. Two years later, my brother was adopted from Vietnam, and we were raised in a loving, supportive home in Atlanta, GA. I was and am very fortunate. One of the first lessons I learned and experienced: never judge a book by its cover. Two Asian kids, two white parents – despite Atlanta being a large metropolitan city, do not be mistaken; the roots of true Southern culture still remain. Though I did not identify remotely as Asian, or even Asian American, that’s what I looked like. Moving out to Los Angeles for college, I was in for a culture shock. Asian people were everywhere, especially on campus. The more Asian-identifying friends I made, the more I was supposed to recognize references and appreciate inside jokes as an Asian-looking person. The sky began to change colors. How people perceive me versus how I identify has been something I have shaken off my whole life, but my integration into the ultimate community changed that. People are for the most part open, warm, and welcoming, and they do not care what you look like or where you come from. In the past couple years, I’ve started to take a step back. Do people not care what I look like because I don’t act “fobby,” or because I am athletic or whitewashed? There are a large number of Asian Americans who play ultimate frisbee; what does that mean? Do the systemic imbalances that I grew up with also plague the ultimate community? How hidden are they? I have also, of course, experienced bias towards me because I am a woman. I work in entertainment – by the numbers and stories, an industry in which there is no shortage of sexists and gender bias. I have played a variety of sports my entire life – by the stats on media coverage and paychecks, a setting in which there is no shortage of sexists and gender bias. Some of my strongest early memories are of being the only girl at baseball camp. In that case, I was celebrated, but why was I the only one there? Until high school, every year, I had two birthday parties – one to go play football in the park with the boys, and the second to have a sleepover with the girls. My parents’ support my entire life created this bubble in which I grew up encouraged and comfortable in my day-to-day life and in the pursuit of my dreams. Not everyone has that. Inequitable treatment happened to me occasionally, but I brushed it off. In my home growing up, it seemed my gender never mattered, my race never mattered, and our finances never mattered. I was and am privileged. My sky was blue my entire childhood, and it is still not red. There is a lot in between. I feel lucky to now be a part of the ultimate community, as someone who is actively speaking out and working towards all forms of equity. That being said, we can all do better – much, much better – and it takes a village. I hope with this film to not only further my own perception, education, and empathy, but to provide a consumable source of information for others as well. Let’s all make this film; let’s all take ownership and accountability; let’s all create safe spaces for speaking and listening, for learning and for change. 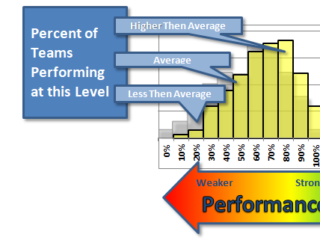 Understand that everyone is in the process of learning and bettering themselves. Get comfortable being uncomfortable. The sky is not red for me and it is okay if it is not for you either, but we can work towards that. Let’s make the sky red together. I’m sitting down to write about my Sky Is Red moment and I am paralyzed by writer’s block. Not because I can’t recall a moment in which I realized something big about equity or power or privilege in my life, but because each moment I come up with seems to leave something out of the whole picture. Maybe I’ll write about the time a drunk frisbee friend pinned me down on a couch in his home and tried to kiss me. Or the time another pushed me up against a wall and did the same, then forced me to sleep in his bed with him. He passed out; I lay awake scared all night. Both these men are nice, warmly energetic, well-intentioned people in the ultimate community. I eventually confronted both of them. I had to describe, from vivid memory, incidents that they only recalled hazily. They’ve moved on. I haven’t. The sky is red. Or maybe I’ll write about when a month or so after the 2016 US presidential election, amid reports of emboldened racial violence, I exited an Asian nightclub with my team co-captains. As we stepped onto the street, the sound of gunshots rang out at the corner. We ran into a nearby convenience store and hid in the back, then quietly made our way out on backstreets. Some kids ran by us and yelled, “Someone’s face got blown off!” We’d built a team and played frisbee together for a whole season, but now, wondering if the someone whose face got blown off was Asian, was the first time I’d really thought of us as having a shared Asian-American identity. The sky is red. I will say that in brainstorming, memories of moments surrounding my female-ness or Asian-American-ness have come far more swiftly than memories of moments in which I recognized and named my own privilege. Of the latter, many feel too raw to share — painful and still a bit unprocessed. One example: watching the video of the chokehold killing of Eric Garner by a New York police officer and crying for days afterwards. Then, a few weeks later, hearing the news of the shooting of Michael Brown by a Ferguson police officer and sobbing again. I cried the first time because I watched it happen; I watched Eric Garner say “I can’t breathe” and I watched Daniel Pantaleo murder him. When Darren Wilson murdered Michael Brown several weeks later, I cried because I had forgotten all about Eric Garner already. I had the privilege — it made me sick to think that it should be called privilege — of resuming my day-to-day life without fearing that my brother or dad could be killed without recourse because of the color of their skin. I had a summer league game the day of Eric Garner’s murder and a summer league tournament the day of Michael Brown’s, and I played in both. The sky is red. I am making this film because one story is so far from the whole picture. For those who are willing to share, I want to make space for you to speak. I am making this film to listen.